Cradle bolts to most stock type and aftermarket SB Chevy blocks, including narrow pattern lightweight, and standard bell housing bolt patterns. 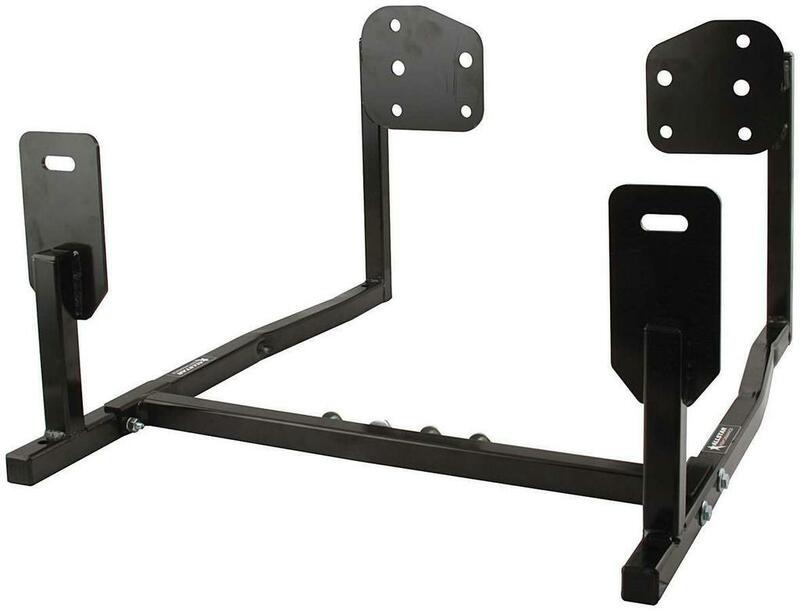 Slotted front mounts accept most frame width engine mounts. Provisions for standard wheel kits are positioned to support complete engines with attached radiators.